and not only that but this wonderfully crafty book Made by hand. Beautiful soaps, candle dipping, tie-dye, knitting, crochet, braided rugs and some colourful coil bowls I would love to try making. I am looking forward to diving in! 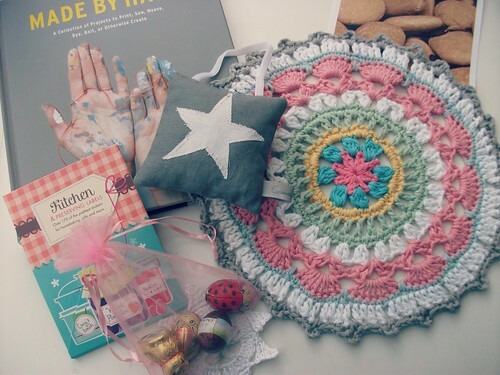 sweet wrapping, a homemade lavender cushion, chocolates! and some very sweet baking labels. I will try my best on that one I promise! 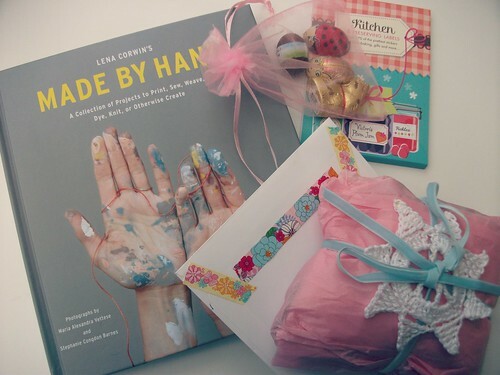 Thank you Hannapat for your wonderfully generous gifts. I keep glancing around and noticing them. 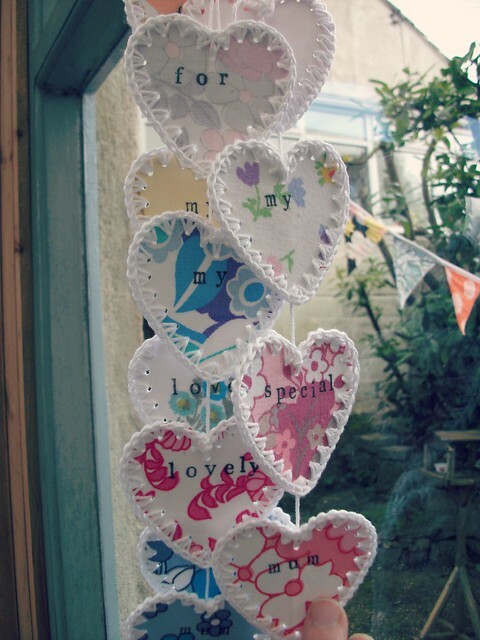 can I just make a little shop announcement : Mothers' day is coming up I have made a few dangly heart garlands and they are in my shop now. I enjoyed making these. Time is a great healer. I only hope I get one! Lovely lovely gifts from Hannapat for you Heather - hasn't she done a wonderful job and isn't it so nice to be the receiver of such beauty! Your hearts are looking gorgeous, and I'm sure you already have a very special one that you so well deserve! Happy Days to you lovely lady! She sent you such pretty things. I know they will have a lovely new home with you. 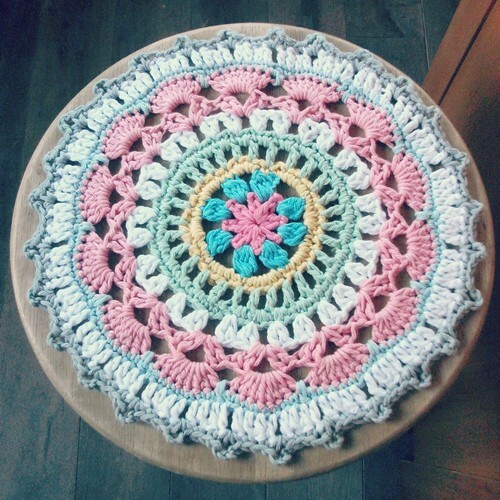 I am finding mandalas everywhere at the moment! I must have a go myself. Love your hearts, and your surprise gift is perfect for you!